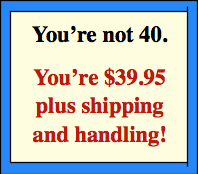 for less than one greeting card. 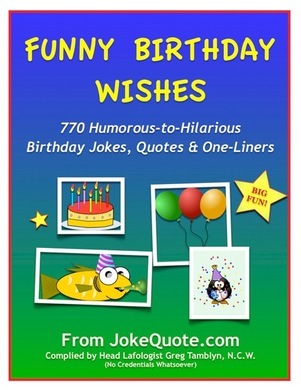 I have so many funny birthday quotes, jokes, wishes, and one-liners, I don't have room for them all on JokeQuote.com. 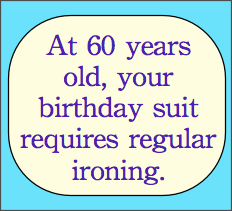 So I’ve complied everything into a Funny Birthday Wishes ebook. 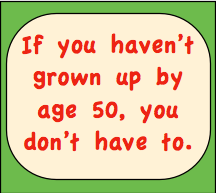 Enough birthday humor for hundreds of cards, texts, tweets, facebook posts, photo captions, slide shows, and videos. Keep your friends and family smiling for decades. It's a high-quality, printer-friendly PDF file, with a clickable Table of Contents. Click the Buy Now button and get your ebook within 2 minutes! Only $2.99 with your credit card or paypal account. Totally safe - your credit card info is never kept on file. Mac Tablets and Smartphones: open in Safari, iBooks, or free 3rd party apps like Adobe Acrobat, PDF Reader, Foxit PDF Reader. 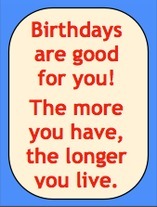 You'll have all the funny birthday greetings you'll ever need, right at your fingertips. 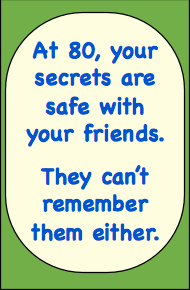 Celebrate all your friends' and family's special days with a big hit of humor. 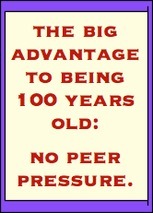 PLUS lots more pages of funny stuff for Middle Age, Seniors, and Aging. You’ll have so many funny birthday wishes, you might have a hard time deciding which ones to use. In a minute or two, you’ll be able to email, text, tweet, facebook, instagram, or pin not just one, but as many hilarious birthday messages as you want. 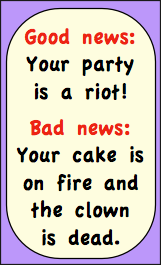 Or create the funniest birthday card they’ll get this year. Or send them personalized photos with the perfect funny caption. 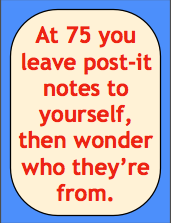 Or make a birthday slideshow or video full of great jokes and one-liners. 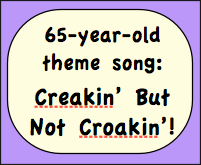 86 pages of humorous-to-hilarious birthday fun. 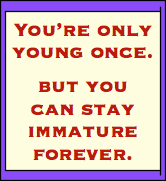 770 birthday jokes, funny quotes, wishes, and one-liners. That sinking feeling of suddenly remembering it’s your friend’s birthday? No worries! You'll find exactly what you need in minutes. 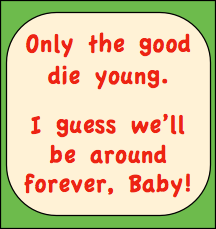 Almost all of the age-specific one-liners work beautifully for other ages too, so be sure and read those as well. 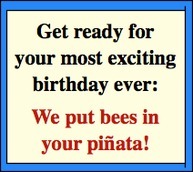 Use this collection of funny birthday wishes however and whenever you want. They’re yours. 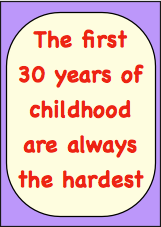 It even has a clickable Table of Contents so you can go right to the Birthday Wishes you need. Less than what you'd pay for ONE birthday card! Go ahead, download it now! Your friends are waiting to laugh! You'll love this ebook and use it for years, or double your funny back!